Our product range includes a wide range of vibro forming table, earth rammer, paver block cutter, tile mixer machine and rubber molds. Our company is one of the renowned manufacturers and suppliers of Vibro Foaming Table. 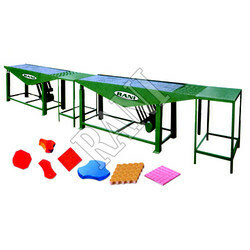 The offered table is used in construction industry for making tiles. The offered table is designed by finest quality components and modern technology in adherence with the market norms. In addition to this, our offered table can be availed by our patrons in customized options. Operating on powerful motor, these vibro tables manufacture paving blocks, designer tiles, and kerb stones. The table is examined by our quality experts on numerous parameters in order to ensure its flawlessness. 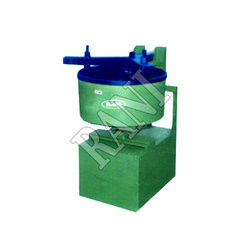 In the field of manufacturing and supplying, our company offers supreme quality Earth Rammer. Our range is fabricated using high-quality raw material and is furnished with component vibratory plate compactor. This compactor acts as a mini road roller that is suitable for compaction of industrial concrete flooring, sub-base road beds and pavement block laying. This product is widely used for compacting areas of tarmac or asphalt or for tamping down backfill during the erection. It is made available to our customers after multiple rounds of quality checks and at industry leading rates. We are a known name as the manufacturers and suppliers of Paver Block Cutters in the market at present. These cutters are extensively used in varied industries for cutting pavements and concrete blocks. Provided with desirable cutting block height and multiple side cutting edge, our range stands high in quality and durability. These cutters go through a multiple quality check procedure and are dispatched for delivery only after they are approved on the quality aspect. These machines are made available to our esteemed clients at industry leading rates. 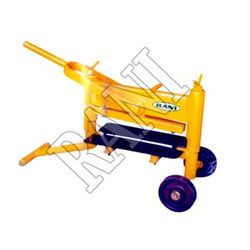 We have achieved paramount success in manufacturing and supplying of Tile Mixer in the market at the present scenario. 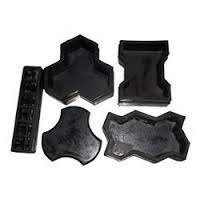 It is used to manufacture tiles by pouring the slump concrete into rubber moulds. Firstly, the concrete mixer is condensed using vibro forming tables, and then, these moulds, with wet concrete, are kept over flat plate in order to gain initial strengthening. The wet tiles are further exposed to the controlled atmosphere for providing hardness to the products. Later, polyurethane or varnish coating is applied on the tiles to ensure their wear resistance, and to beautify them.